It was the best of times, it was the worst of times. This year was a tumultuous one for fashion media companies, but an encouraging one when it came to diversity in the industry (which, of course, includes race, size, age, gender identity and all combinations of the above). While we bade goodbye to Teen Vogue and Nylon’s diversity-championing print editions and read boundary-pusher Bullett’s brutally honest eulogy, we rejoiced at the sight of increasingly multiethnic runways and print ads (both of which, for the first time, included over 30 percent models of color). Sure, the industry is changing — particularly its media department — but the “trend” toward diversity has not stalled. 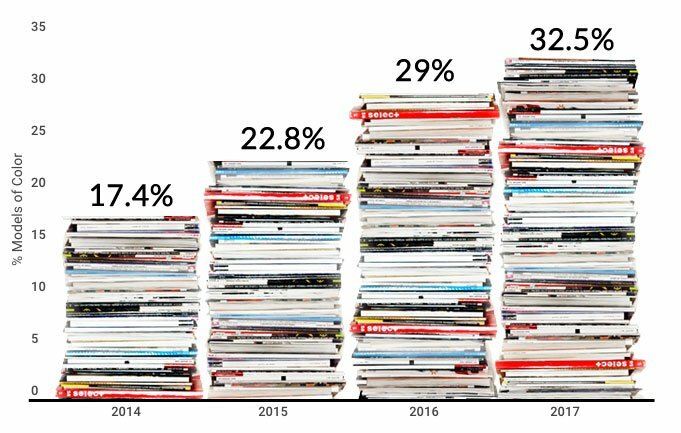 Mostly because, much like the shifts in the fashion media world, diversity is not a trend, it’s a reality — and this year’s magazine cover stats further illustrate this fact. Nevertheless, 32.5 percent is a landmark figure: 2017 was the first year in which the runways, ad campaigns and leading international fashion magazine covers all passed the 30 percent racial diversity marker. Vogue Arabia, Vogue Taiwan, Vogue India, i-D, Paper, Allure and Dazed featured the most racial diversity — Vogue Taiwan, Vogue India and Paper for (at least) the third year running. Vogue Arabia came out on top with 12 out of 12 nonwhite cover stars (two of them over the age of 50). Vogue Taiwan nearly matched Arabia’s score with 12 out of 13 models of color — that’s 92.3 percent. Nineteen of Vogue India’s 21 cover stars — or 90.5 percent — were people of color (again, two of them over 50). I-D cast 5 out of 7 — or 71.4 percent — nonwhite cover models and Paper featured 6 nonwhite women on its cover, for a score of 66.7 percent. 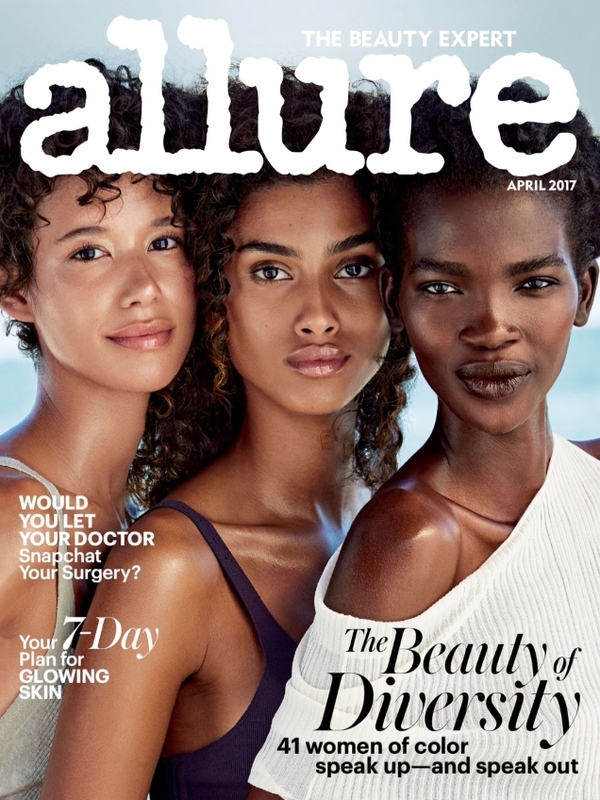 Allure cast 8 out of 14 women of color — Zendaya, Alicia Keys, Zoë Kravitz, Halima Aden and Kerry Washington fronted the beauty mag solo, while Dilone, Imaan Hammam and Aamito Lagum shared a cover — for a score of 57.1 percent. Several magazines that featured no models of color in 2016 embraced diversity this year, some more stridently than others. LOVE finally got with the program, featuring 7 out of 19 models of color, a marked improvement over the past three years where no nonwhite models appeared on the cover. 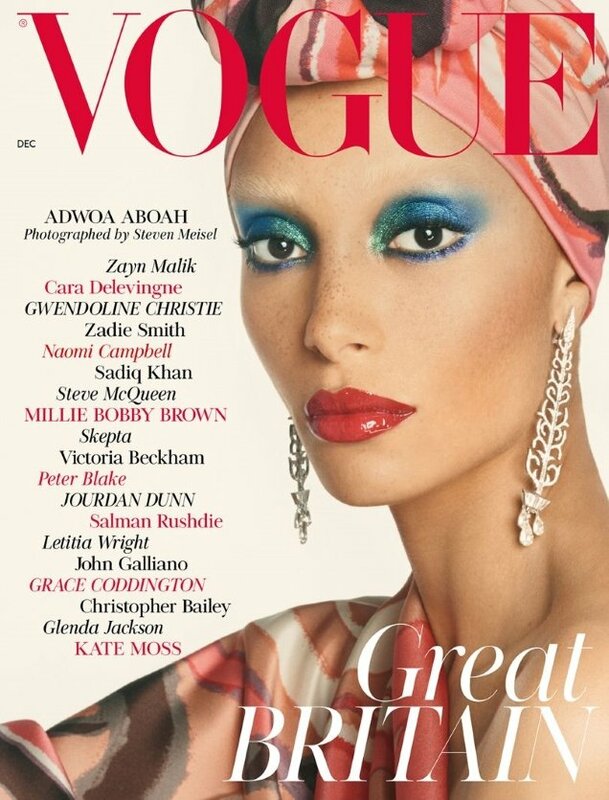 After a 14-year stretch with only 6 nonwhite solo cover stars, British Vogue featured 6 women of color, including Adwoa Aboah on Edward Enninful’s mic-drop of a December cover. (We’ve no doubt that 2018, Enninful’s first full year as editor-in-chief, will see even more pronounced progress at the British glossy.) Oh, and Vogue Germany finally hired one nonwhite model. Still, many continued to lag behind (especially chez Condé Nast). Of the 253 nonwhite cover stars booked, none appeared on L’Officiel or Marie Claire U.K. Both publications limited their covers to white, cisgender, straight-size models. 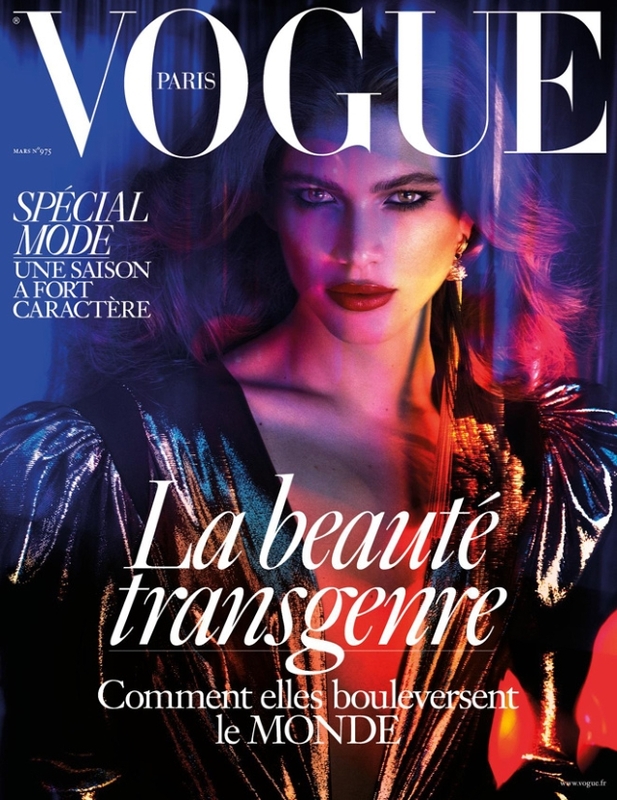 Vogue Australia, Vogue Turkey, Vogue Ukraine and Vogue Paris each hired one model of color, although the latter redeemed itself — slightly — with a March cover featuring transgender model Valentina Sampaio. In addition, only two of Vogue Italia’s whopping 22 cover stars were nonwhite — Bella Hadid and Joan Smalls. On the bright side, Vogue‘s storied U.S. edition featured 8 out of 18 women of color — or 44.4 percent — as well as one plus-size model (Ashley Graham) and one over-50 celebrity (Meryl Streep). While the Spring 2018 season saw a record 93 plus-size models walk the runways (90 of them in New York), you wouldn’t guess it by looking at the newsstands. In 2017, only 1 percent of the celebrities and models on magazine covers were a size 12 or over. In other words, eight covers. Sure, it’s an improvement over last year’s 0.9 percent — or 6 out of 679 covers — but hardly. Moreover, five of those eight appearances belonged to Ashley Graham. (Lest the runway stats deceive you, tokenism is alive and well.) In addition to landing her first solo Vogue cover for the glossy’s British edition — for which a handful of unnamed designers refused to dress her, we might add — Graham covered Harper’s Bazaar U.K., ELLE U.K., Glamour and the March issue of American Vogue. Note that not all of her appearances were solo: on American Vogue, Graham posed alongside Adwoa Aboah, Liu Wen, Vittoria Ceretti, Imaan Hammam, Gigi Hadid and Kendall Jenner, and for ELLE U.K., she starred on one of four November covers (another of which went to rock star/Marc Jacobs muse/body-positive fashion icon Beth Ditto). Like Huffine, we look forward to seeing greater change. Body diversity, though better represented on international newsstands than in years past, clearly remains a huge problem for the fashion industry. In 2016, 34 of the 679 covers we reviewed featured women in their 50s, 60s and upward. This year, 39 of 782 — or 5 percent — did. Technically, that’s neither a loss nor a gain, but the more age-diverse covers staring back at us from newsstands, the better, we say. Helping the past two years’ stats stay neck and neck was Nicole Kidman, who turned 50 last June. The Big Little Lies star covered six major publications this year, including ELLE, Glamour, InStyle, Vogue Australia, W and LOVE. Other notable over-50 appearances included the late, great Carrie Fisher’s Vanity Fair tribute, Meryl Streep on Vogue, Hillary Clinton on Teen Vogue, Dame Helen Mirren on Allure, Kathleen Kennedy on ELLE U.S., Madonna on Harper’s Bazaar U.S., Vogue Germany and Vogue Italia, Sarah Jessica Parker, Julianne Moore and Julia Roberts on InStyle (in January, October and December, respectively), Björk on Dazed, Debbie Harry on Wonderland, Cindy Crawford on Vogue Australia and Lauren Hutton on Vogue Italia. Like Kennedy, Cicely Tyson fronted one of ELLE U.S.’s eight “Women in Hollywood” covers. Iman Abdulmajid covered LOVE’s 18th issue — the same multi-cover issue that spotlit Kidman, Blake Lively and the Muppets, among others. Former Bond girl Michelle Yeoh and Dolce & Gabbana runway vet Marjorie Harvey posed for Vogue Japan’s 67-strong August cover photo (which accounted for four of the 37 over-50 model castings). Elsewhere, Hindi film actress Jaya Bachchan fronted Vogue India’s August issue, posing with her similarly gifted daughter and granddaughter. 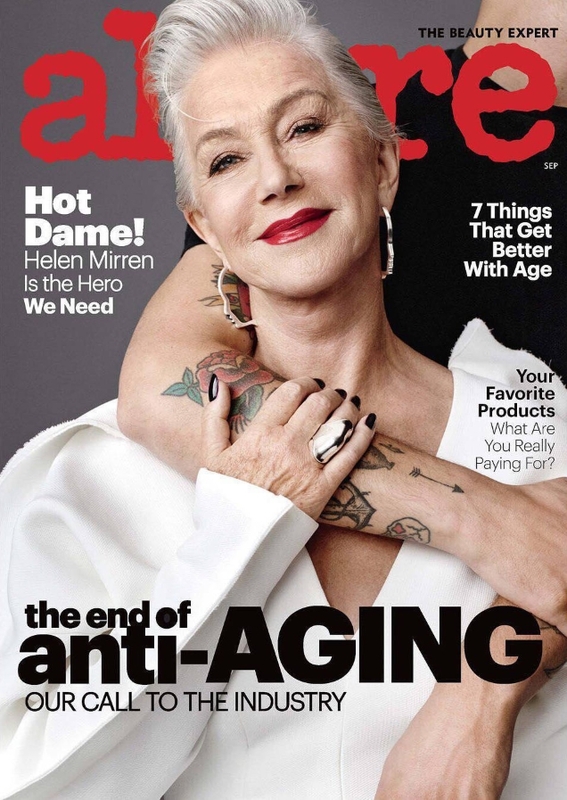 While it seems the trend of magazines grouping their older cover stars with younger faces is holding strong (especially where nonwhite models are concerned) and we’ve yet to see a plus-size model over 50 grace a major cover (at least in the past two years), we’re optimistic that the number of age-diverse covers will continue to grow. After all, older readers tend to have more money and buying power, enduring Hollywood favorites like Kidman are reaching the 50-year mark/reigniting their careers by switching to TV and (slowly but surely) society is moving toward a more inclusive idea of beauty. Transgender and non-binary inclusion likewise stalled. Of the covers we examined, only five featured a transgender/non-binary model, a number that’s on par with 2016. 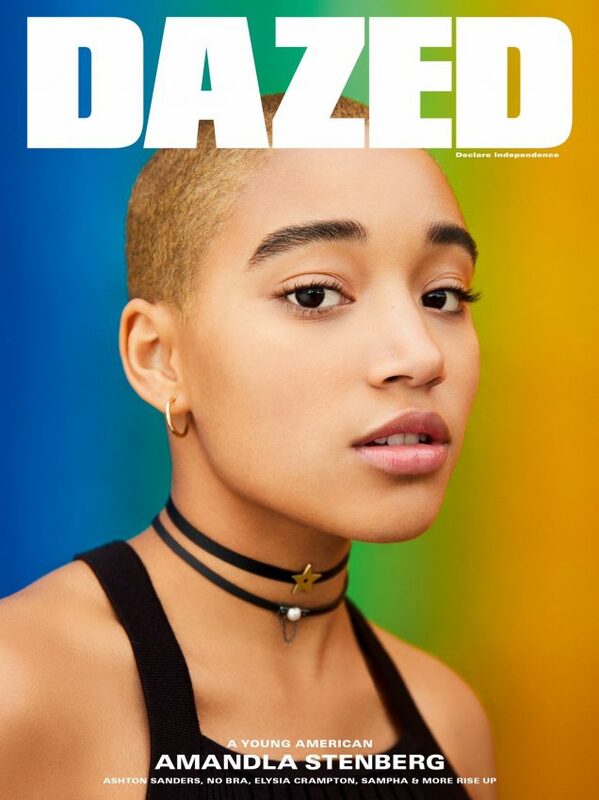 Gender non-binary actor, activist, illustrator, singer and hair and style icon Amandla Stenberg landed two major covers. In February, Stenberg showed off their then-new buzz cut on the cover of Dazed. In August, they posed solo for Teen Vogue “Volume III,” a three-cover issue starring Stenberg, Kaia Gerber and Millie Bobby Brown. As far as transgender visibility goes, Kendall Jenner photographed Hari Nef (who landed four of 2016’s five transgender cover bookings) for the cover of LOVE‘s 17th issue. The Transparent actress and face of Gucci Bloom shared the honor with Gerber and a handful of new, social media-sourced faces. The two remaining covers went to Brazilian model Valentina Sampaio, who posed for Vogues Paris and Brazil (she also covered the July issue of ELLE Brazil, a publication not included in this report). The former made headlines by putting Sampaio on the cover of its pivotal March issue. It was the first time the magazine — or any Vogue edition — had ever hired a transgender cover star. “This cover is about the importance of [human] rights, and that we still need to make progress on an awful lot of stuff,” Vogue Paris Editor-in-Chief Emmanuelle Alt told American Vogue. (Truer words.) Nine months later, Vogue Brazil seconded that motion, giving the model not one, but two December covers. There you have it. On the one hand, 2017 witnessed two groundbreaking moments for transgender inclusion and on the other, trans/non-binary models remained the least represented group. Here’s an encouraging statistic: 6 of 2017’s 10 most-booked cover stars were women of color. American-Dutch-Palestinian model Bella Hadid racked up the most covers of the year — 12, including CR Fashion Book, ELLE U.S., InStyle, Porter, Teen Vogue and several international Vogue editions (Australia, Brazil, Spain, Arabia, Italia, China). 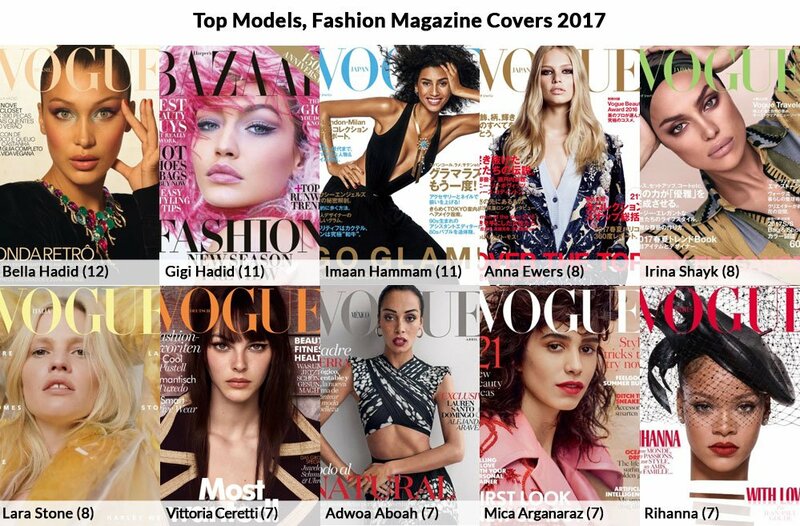 In second place, with 11 covers each, were Bella’s elder sister Gigi Hadid and Dutch-Egyptian-Moroccan model Imaan Hammam. The former fronted American Vogue (twice), CR Fashion Book, Glamour, Harper’s Bazaar U.S. and, again, a handful of international Vogues (China, Japan, Korea, Netherlands, Arabia). Hammam graced the covers of American Vogue, Vogue U.K., Allure, Porter (twice), Vogue China, Vogue Spain, Vogue Japan (twice), Vogue Netherlands and Vogue Arabia. Next came Anna Ewers, Irina Shayk and Lara Stone, with eight covers each, followed by Vittoria Ceretti, British-Ghanaian model Adwoa Aboah, Argentinian stunner Mica Argañaraz and Barbadian beauty (magnate) Rihanna, who walked away with seven covers apiece. Per tradition, no transgender, plus-size or over-50 models made the top 10 list. While it’s clear mainstream titles are beginning to think more independently, this year’s diversity gains were marginal at best. Racial diversity on magazine covers did not bound forward, as was the trend, until recently. 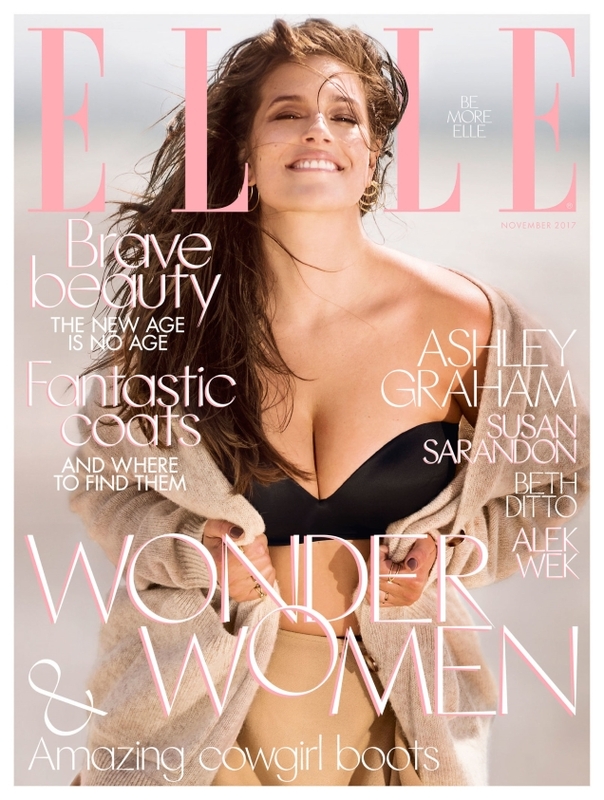 Welcome, unexpected cover choices like Ashley Graham on Vogue U.K. and Valentina Sampaio on Vogue Paris did little to distract from the general scarcity of plus-size and transgender/gender non-binary cover stars. A handful of white women over 50 were given their due, their nonwhite peers were given shared or multi-cover issues. That said, we can’t argue with year-over-year progress, even if it is maddeningly slow. At least when we take a step back and look at the industry as a whole, we can see the various cogs working together. For the purpose of this report, “model” is anyone who appears on a cover, even if modeling is not their profession. 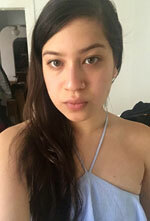 Models of color are categorized as those who are nonwhite or of mixed backgrounds. Note: In reports from years past, Bella and Gigi Hadid, who are of Dutch and Palestinian descent, were categorized as white. For 2017 and going forward, the Hadids will be categorized as nonwhite to more accurately reflect their mixed-race heritage.